Rotastak is a type of housing for hamsters, although it can easily be adapted for other small rodents. When constructing a Rotastak cage, you should put into consideration a hamster's natural habitat. The hamster's natural habitats are mainly underground burrows in the desert. The most common materials needed to make a Rotastak home for a hamster are plastic bottles of all shapes and sizes, the idea being to try and make a playing room and a resting place for the hamster. These types of cages are more ideal to dwarf hamsters. Try to make these cages as pretty as possible by using different colours especially attractive to children. This also makes the Rotastak hamster's cage look beautiful and fit in with the home setting. The resting room should have a diameter of around 15 centimetres and should be made up of two pieces of plastic that are dish shaped and that are able to twirl together. The piece at the bottom should be made of solid plastic. 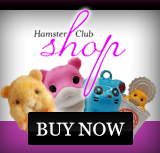 The other one should be made of coloured clear plastic that enables the owner to see the hamster. This also enables the hamster to see through as well. Make sure when making the homes that they have exercise areas on various levels so as to encourage mobility for the hamster. 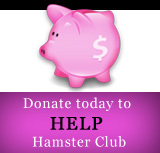 Hamsters are known to love exercising, by running round in circles inside their homes. 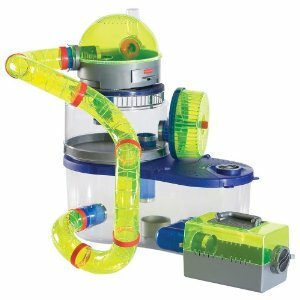 Your hamster will adore discovering his new home and will have so much to do that he will never be bored. The bedrooms should have a hole for one tube on the bottom or on the side and connected to a tube that connects two rooms together.